Facebook Places may have expanded to the UK today but that doesn’t mean that other location services are going to fall over and die overnight. 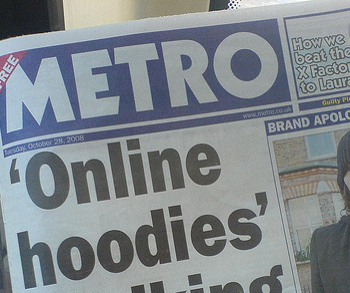 The UK’s free Metro newspaper has announced that it is to publish editorial content to Foursquare. Journalism.co.uk reports that users will be able to view location-relevant restaurant and film reviews from within Foursquare when they ‘check-in’ nearby. The service is currently only available to users in London. Looking at the way it’s been implemented, the move is a smart one. Users see an excerpt from the review as a tip and can click through to the site for the full article, driving traffic back to their site. The move isn’t the first time that a newspaper has hooked up with Foursquare. The Canadian Metro newspaper (unrelated to the UK title) began using Foursquare in a similar way earlier this year.